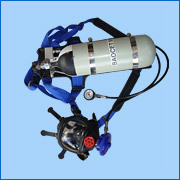 Chlorine Handling Accessories safeguard from spread of chlorine that can prove to be highly hazardous. The optimum functionality support provided by these accessories also ensure necessary protection in areas of chlorine storage and handling as well as protecting plant personnel from possibilities of chlorine exposure, thus saving them from dangerous health issues. Offering suitability in areas like storage, safety, testing, chlorine handling and monitoring procedures, these accessories support smooth handling of chlorine requirements and in prevention of hazards related to chlorine usage in Chlorination Plant. Cylinder Keys, Copper Tubes, Clamps, Connectors, Valves include Chlorine cylinders and Tonner valves that can be made available by us in conformance to IS:3224 standards. These support providing safety against chlorine gas leakage as well as in ensuring safe and secure handling of chlorine in a working industrial environment. 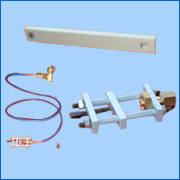 Drip Leg Heaters works as versatile system support that boosts flow of chlorine gas as and when more gas flow is required. These heaters also feature support in form of control panel of 230 V electric supply to 24 volt as well as wall mounting arrangement that allows for optimum usage support. Trunion Roller Supports for Tonner assists in facilitating ton container that ensures valves gas and liquid side are in vertical positions. It also supports revolving of tonner using crane supports that safeguards the chlorine container from corrosion possibilities. Chlorine Test Kit assists in determining residual chlorine content in potable water and can test in range from 0.1 to 1.0 ppm and 0.1 to 5.0 ppm. The measurement and control support provided by these test kits can be used for monitoring swimming pools, potable water, waste effluent. Safety Showers works as first aid safety equipment and assist in minimizing injuries in event of an accident/exposure to hazardous gases. Suitable for both Indoor and outdoor installation, these come in stainless steel finish with epoxy coating to provide for long lasting usage support. New Brand Chlorine Cylinders offered in capacity of 12kg/ 50kg/ 100kg/ 900 kg are made available by us in precision fabricated finish as per IS:7681. We can also fabricate bigger container sizes in conformance to British standards (BS:1500) that provide for enhanced safety to men and material working in an industrial environment. 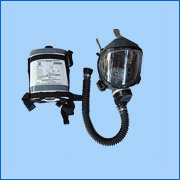 Mask with Canister find application in providing protection to the nose and mouth of the wearers. Coming with suitable filtration support, these assist in providing an active barrier support to personnel from inhaling airborne pollutants/toxic gases that can provide to be hazardous. 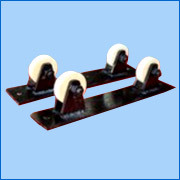 Used in industries and manufacturing units, we make these available in different sizes and types. 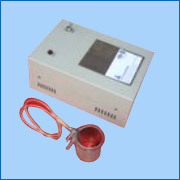 Self Breathing System provide oxygen-enriched humidified gas to the lungs directly where it assist respiratory functions. 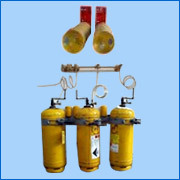 Featuring durable construction quality, the systems are used by industrial personnel working in contaminated/oxygen deficient atmosphere. 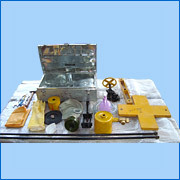 It is manufactured as per industry standards.